Brown adipose tissue is well known to be a thermoregulatory organ particularly important in small rodents and human infants, but it was only recently that its existence and significance to metabolic fitness in adult humans have been widely realized. The ability of active brown fat to expend high amounts of energy has raised interest in stimulating thermogenesis therapeutically to treat metabolic diseases related to obesity and type 2 diabetes. 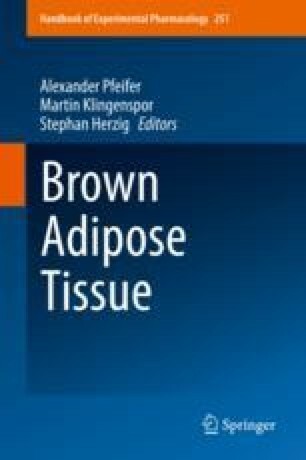 In parallel, there has been a surge of research aimed at understanding the biology of rodent and human brown fat development, its remarkable metabolic properties, and the phenomenon of white fat browning, in which white adipocytes can be converted into brown like adipocytes with similar thermogenic properties. Here, we review the current understanding of the developmental and metabolic pathways involved in forming thermogenic adipocytes, and highlight some of the many unknown functions of brown fat that make its study a rich and exciting area for future research. SMJ is supported by a postdoctoral fellowship award from the American Diabetes Association (1-18-PDF-128). JSG is supported by an American Heart Association Career Development award (18CDA34080527). DAG is supported by grants from the NIH (R01DK094004 and R01CA196986) and a Leukemia and Lymphoma Society Career Development Award.